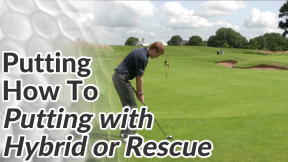 A good putting stroke has few moving parts and is based around a single rhythm or cadence – regardless of the length of putt. 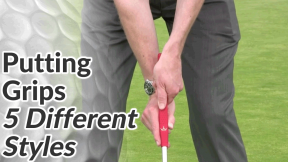 That way, you can simply make a longer or shorter stroke to vary length of your putts with accuracy and consistency. 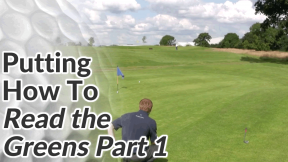 In the next lesson, we’ll look in more detail at how you can control the distance of your putts. 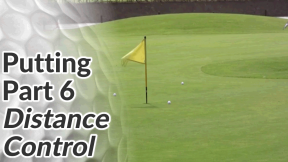 But you can’t begin to master distance control until you have a reliable, repeatable putting stroke. 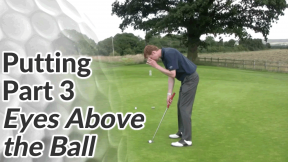 The putting stroke is dominated by the shoulders. A rocking of the shoulders moves the arms and hands together in one unit. The wrists stay solid. Your lower half (hips, legs and feet) should stay completely still throughout the putting stroke. Your weight should remain 50/50 on both feet during the entire movement. The length of your backswing should be the same as the length of your follow through. 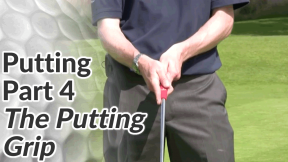 The rhythm of your putting stroke should always stay the same. 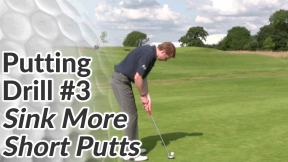 You’d have the same rhythm for short 3 feet putts as you would for long 30 feet putts – the length of your putting stroke will determine the distance you hit each putt. 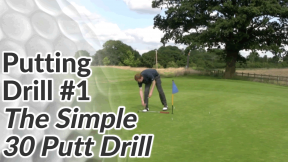 The putter head should travel in a straight line back and a straight line through to the target. 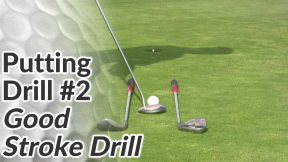 See this drill to help you with that. 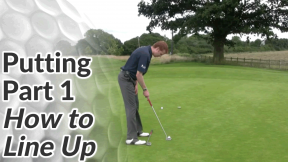 Focus on keeping the putter face perfectly square (at right angles) to your target line as you make your stroke.